The School works with an extended community of recruiters to develop students' professional skills and prepare them for the job market. Students are required to do a six- month internship and are encouraged to gain experience in the field. Training through apprenticeships or taking a gap year working for a company are also possibilities. 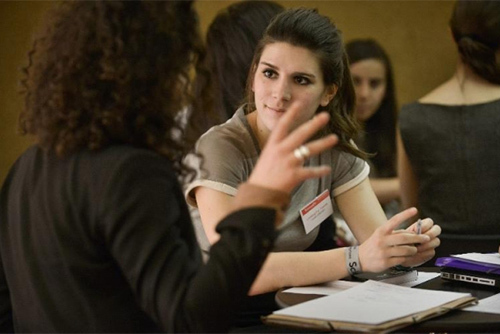 Each year, 73% of Sciences Po graduates enter the private sector. The School provides students with the skills needed to work in a wide range of fields and industries: consulting/auditing, banking/finance/insurance, marketing/communication, human resources, regulations and compliance, and much more. The training provided by the School will enable future graduates to work both in France and abroad; nearly 40 percent of graduates find their first job outside France. Arkema (fr. ), Banque de France, BNP Parisbas, Chalhoub Group, CMA CGM, ENGIE (fr. ), Hermès, Mazars, L'Oréal, PwC, Rothschild & Co, Shiseido, Société Générale, Ubisoft, Vivendi. 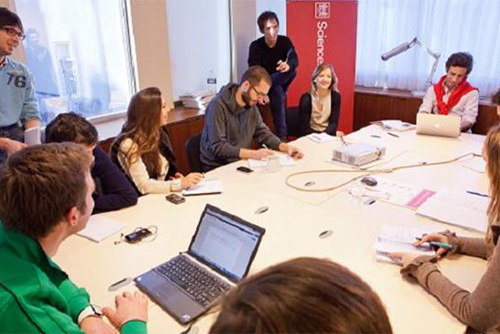 The centre supports the entrepreneurial aspirations of students. Since 2009, the centre has coached 350 students, incubated 90 entrepreneurial projects and helped to create 400 permanent jobs.